The text version is probably the one you may want to read, as it is written in plain text and easy to follow. We have added a photo gallery to the site. 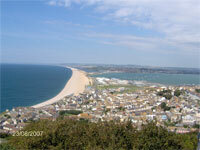 It has various categories including: Rayner,Family, Yorkshire Pics, Dorset Pics, etc. You can upload your images, add or edit the description of any photo. (username & password required) Feel free to browse. Many thanks to all who have contributed by adding photos to the Gallery, especially old Rayner Family Photos, but we still need more! We have various dits (articles) available on the site. From pc hard drive repair to a personal account of the Doodle bugs during WW11. If you have anything to share then please let us know. It doesn't matter what the subject is, whether it be a life experience article, information article, repairs, reviews, everything considered! Lastly, to all those who found their way here and contributed to the site. Those who added to the family tree, offered dits, uploaded images into the Gallery, signed the Guestbook, or send me emails, We appreciate your time.